The Shape & Slim compression belt by Shape and Slim features secret slimming shaping knits that work like a massage and provide targeted shaping. Ultra-comfortable, breathable and non-binding, this revolutionary slimming belt is lightweight, discreet and can be worn under any garment for a sleek, slimmer look. In addition to shaping, the tummy slimming belt contains all-natural cosmetic elements are released from the garment for up to 20 washes: caffeine combined with Cedrol, shea butter, brown algae and Inca Inchi oil. 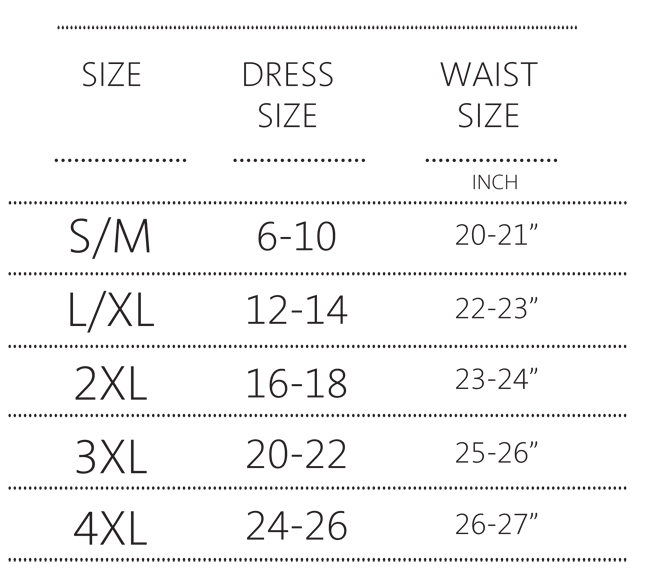 Size Chart: Compare your hip and waist size on the chart below.